Raymond Herman Otto Friedmann, “Ray”, age 88, died peacefully in hospice care at the Hospital of Central Connecticut in New Britain on January 23, 2019. Ray is survived by the love of his life, his wife of 66 years, Bertha Friedmann of New Britain, and by his children, Donna and Terry Barr of Bellevue, WA, Nancy and Michael Balinskas of East Berlin, CT, Scott and Elizabeth Friedmann of Berlin, CT, and Kristin Friedmann of New Britain, CT. He is preceeded in death by his son Randy Friedmann. In addition to their own five children, Ray and Bertha took in and raised their nephew and nieces, Donny, Cheryl and Myra Arendt. Ray was also the proud grandfather, “Papa” of Scott Friedmann of Virginia, Jennifer Kasacek of Canterbury, CT, Kate Nowell of Raleigh, NC, Greg Balinskas of Northford, CT, Jeff Balinskas of Brooklyn, NY, Taylor Friedmann of Cromwell, CT, and MacKenzie Friedmann of Queens, NY. In addition, he was incredibly proud of his great grandchildren; Chelsea, Allison, Camden, Kaley, Regan, Paige, Graham, Cora, and Chloe. He is also survived by his brothers, Cliff Fremont and Al Fremont of Florida, and is predeceased by his brothers Fred Friedmann, Ralph Friedmann, Paul Friedmann, Milton Friedmann and his sisters, Viola Moore and Evelyn Kerlejza. Ray was born on April 17, 1930 in New Britain, CT to Paul and Gertrude Friedmann. He graduated from Goodwin Tech in 1947, and enlisted in the US Navy. He served during the Korean War for four years. He married Bertha Olga Eza, also of New Britain, in 1953. 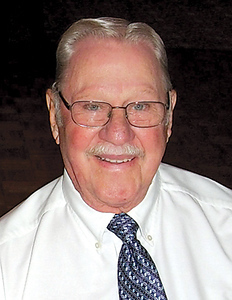 He worked for Stanley Works and later, Sears Automotive until his retirement in 1992. Always devoted Lutherans, Ray and Bertha were members of St. John’s Lutheran Church in New Britain for several decades, and more recently, Bethany Lutheran Church in Cromwell for the past 27 years. As a member of the choir at both churches, Ray loved to sing hymns and even in his last weeks at Pilgrim Manor Nursing Home, he could often be heard belting out “Amazing Grace” and “How Great Thou Art” from his room. Ray’s greatest pride and joy was his family, and that stretched to include all of the many aunts and uncles and cousins and in-laws (and out-laws) and friends-that-might-as-well-be-family that he counted as part of his clan. He was a father figure to many more than his own children, and “Papa” to just about everyone under that age of 30 that he met. A memorial service is scheduled for Saturday, February 2, 2019 at Bethany Lutheran Church, 50 Court St., Cromwell, CT at 11:30am. There will be no calling hours, but all are invited to join the family in the fellowship hall after the service for lunch and a celebration of Ray’s life. In lieu of flowers, please send donations to the Music Fund at Bethany Lutheran Church, 50 Court Street, Cromwell, CT.
Posted in New Britain Herald, on Friday, 25 January 2019 17:52. Updated: Friday, 25 January 2019 17:55.